The whole world turned silent for me. 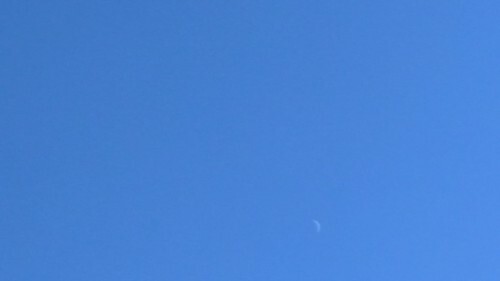 Not so sure whether you feel the same or not but whenever I gaze my eyes and mind over the crystal clear blue sky up above, I strongly feel the world has lost it’s power to speak. 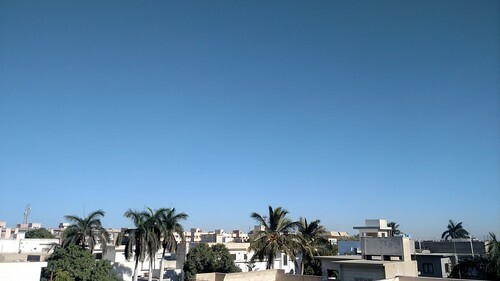 Despite living in a metropolis city and being surrounded up with every imaginable urban factor you can think of, a clear blue sky over Karachi can just shh up the whole city. 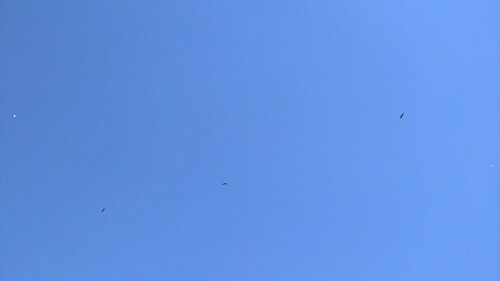 It was an amazing afternoon for me as I filled up my mind and soul with all the blueness I can. And too, in a silence! Pingback: Tuesday Photo Challenge – Round Up 137 – Dutch goes the Photo! Love this post. Sometimes I do get the same feelings too. nice you can make that silent space in such a busy urban area .. particularly like that first shot showing us your neighbourhood!